For over two decades, Phil Morris Racing has been dedicated to preserving Motorbike Racing history. Fans, riders and sponsors, who for many years have turned this sport into a worldwide revolution, can now share in the amazing efforts Phil has made. From Classic races such as the Manx GP, through to the modern Aprillia MotoGP bikes, he and his team, have restored the bikes to their former glory. In addition, Phil has successfully reunited the riders who put them through their paces, putting them back into the saddle. 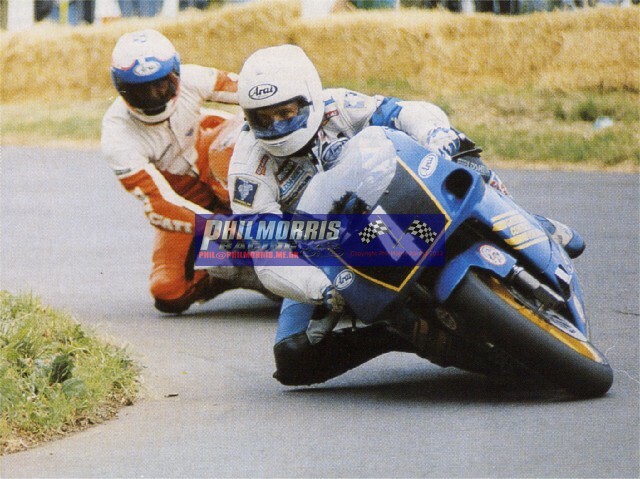 I met Phil Morris at an event and it soon became clear just how passionately mad about motorbikes he really was. He may not be a name that you recognise, but he is widely respected within the racing fraternity. He invited us to meet him at his museum so he could show us his work, his collection of bikes and memorabilia. I was fascinated and willing accepted his kind offer, not knowing what to expect. Phil beamed with pride as he met us in the car park. As we stepped inside, the place blew my mind; I was like a child in a sweet shop, my eyes were everywhere, in awe of what was unfolding. You can only visit by appointment as it’s such a personal labour of love, reflecting his unwavering passion for two wheels, but Phil humbly gave us a guided and informative tour. He started riding at the age of 12yrs after stripping down an old Bantam to use for Trials and Motocross. Although he competed throughout his teens, he had enough insight to realise that wasn’t his forte and concentrated on what he was exceptionally good at, working on the bench. Phil showed us his workshop where he restores machines without compromise. He is a perfectionist and will only allow others to contribute that will follow his exacting standards. He proudly showed us his latest project, where he was converting a wet clutch to a dry clutch, by bastardising parts from different manufactures. I guess he did it because he can. When he decided to build his workshop / museum, Phil’s wife gave him her blessing as long as he followed two rules; he could have no running water and no toilet in the building. With a smile he said, “Then I’ve got to go home.” I can imagine how easy it would be for him to occupy every spare moment restoring bikes, but the call of nature wins every time. This wasn’t a display of wealth or ego. Phil Morris is a genuinely lovely, down to earth guy that wants to preserve and share what makes the sport so special. He said, “Motorbike racing becomes part of your DNA and there’s no cure.” He has worked hard all of his career and wants to give something back; the sport is bigger than one man, but he can be the pied piper who can create a following with boundless enthusiasm. Phil has for over thirty years been involved with motor racing sponsorship and event management for the top meetings and has clearly become a major influencer in the sport. He is the guy you may not know behind the names that you do. Phil said that riders have to be special people to excel at their level, but Phil is also a special person igniting a passion behind their success. Part of his motivation is to encourage and bring along the next generation of Motorbike Racers, sponsoring them to learn the skills and become our homegrown talent of the future. He loves the buzz throughout the sport. “It’s all about the people and the characters behind it that makes it special”, he said, reminiscing on the highs and lows of his career. Phil has been instrumental in keeping alive the sporting achievements from the past, for the great people that created them and as homage to the fallen. He loves to showcase his work at venues big and small, wherever like minded people can appreciate and discuss these legacy bikes; not for him, but for them. His work is selfless and inspiring, much to the respect of the present racing legends that regularly visit him on his stand. I have chatted to many people about motorbikes, yet meeting Phil was by far the most interesting and pleasurable experience I’ve had. Phil Morris, I salute you sir. You’re an amazing man with an amazing mission. McAdoo Kawasaki/Gortreagh printing team re-unite with Phil Morris Racing. 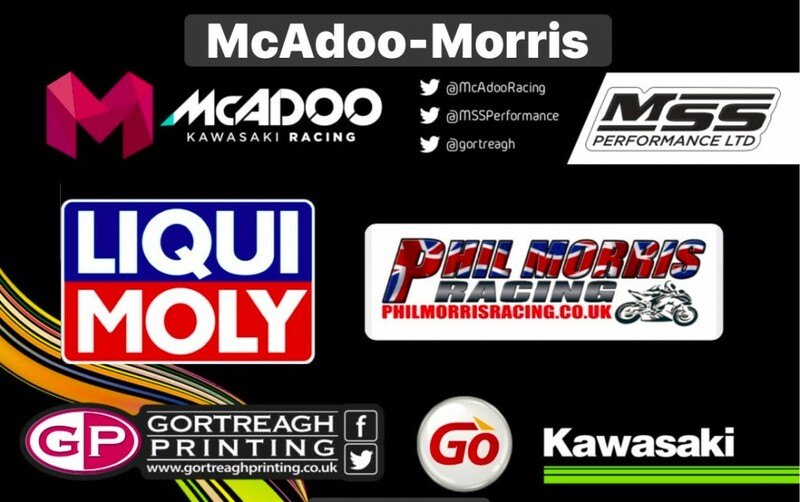 McAdoo Kawasaki Racing are delighted to announce that the team will be supported by Phil Morris Racing and Liqui Molly in 2018. The team’s Kawasaki machinery will all run on Liqui Moly oils and lubricants to be raced by James Cowton and Adam McLean. Liqui Moly is Germany’s most popular brand of motor oil and is famous for it’s quality and innovation with a strong involvement in motorcycle racing all over the world including MotoGP. Phil Morris Racing has been a great supporter of McAdoo Kawasaki Racing for a number of years, enjoying great success together particularly with Conor Cummins on board the McAdoo Kawasaki bikes. Hopefully there are exiting times ahead. More bikes, more riders and more events – it’s another packed season for the Phil Morris Racing team. The Oswestry based team’s expanded fleet of MotoGP bikes will be exhibited at a host of events with demonstration duties in the hands of some of the sport’s top riders. New names have also been added to the roll of supported racers while additional sponsors have come on board to make it all possible. The team now boasts no fewer than five MotoGP bikes, the entire fleet from Paul Bird Motorsport. Three of the bikes are PBM machines to full MotoGP prototype spec while the remaining two are Aprilia CRT machines. For good measure, the fleet also now includes the Speed Up Moto2 machine that Sam Lowes rode in 2014. With riding duties being undertaken by a squad that includes John McGuinness, Steve Plater, Ian Hutchinson, Peter Hickman, Nick Jefferies and Lee Heeson, the bikes will be in action up and down the UK and beyond with demonstration events including the Parade of Racing Exotica at Tonfanau on July 2nd, The Sixty Year Hailwood Commemoration at Castle Combe on July 8th/9th, and Aberdare Park Road Races on July 29th/30th. The bikes will also be on display at the Llan Bike Fest on August 5th/6th as well as at Goodwood Festival of Speed. Among the racers being supported by Phil Morris Racing this year is Stefan Hill. 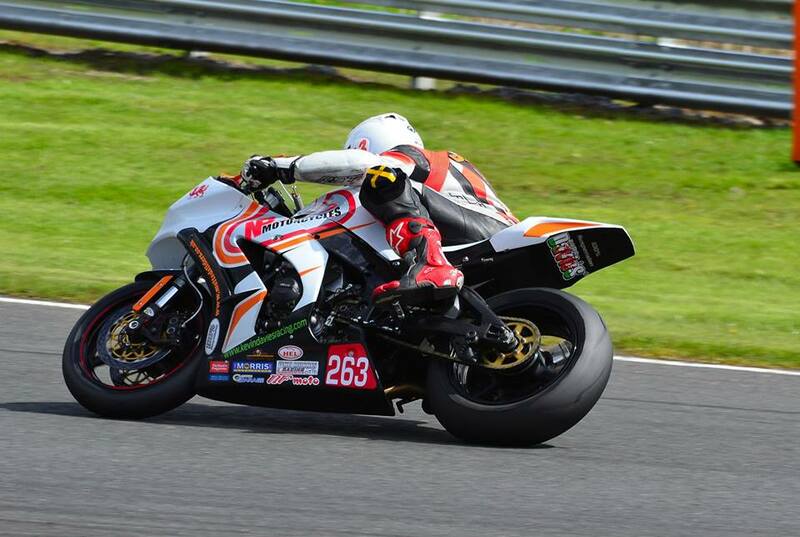 The 19 year old from Coventry will be tackling the World Supersport series on board the Profile Racing Triumph Daytona 675. Youngest of the PMR supported riders will be nine year old Jonas Brown who will be racing in the 85cc category of the Welsh Schoolboy MotoX Championship. The PMR/Dulson Moto X team, managed by former Moto Xer Steve Dulson will feature as its riders Shaun Pearce and Zac Stanley while Welsh road acers Matt Rees and Alex Smith remain part of the PMR stable as does Steve Ferguson whose programme of races includes the Classic TT as well as classic short circuit racing on 350 and 500cc Honda. None of this would be possible, of course, without sponsorship and a number of new names are added to the already lengthy list, among them Liqui Moly, the German lubricants and additives company who are already involved with MotoGP and Moto2 but will now support a British team for the first time. Merseyside company TA-365 Ltd will also be supporting the team while Vital Equipment will be providing high spec Carless Fuels. Carless are one of the few companies able to supply the specification of fuel that these bikes need to run on. After completing one lap in Thursday evening practice the session was red flagged because of a non-racing emergency. The weather was also against the riders as it was wet on the mountain mile which made travelling at speed on slick tyres impossible. But once the emergency was cleared the racing continued which allowed Ben and Tom Birchall to go out for another lap of the 37.37-mile mountain course. 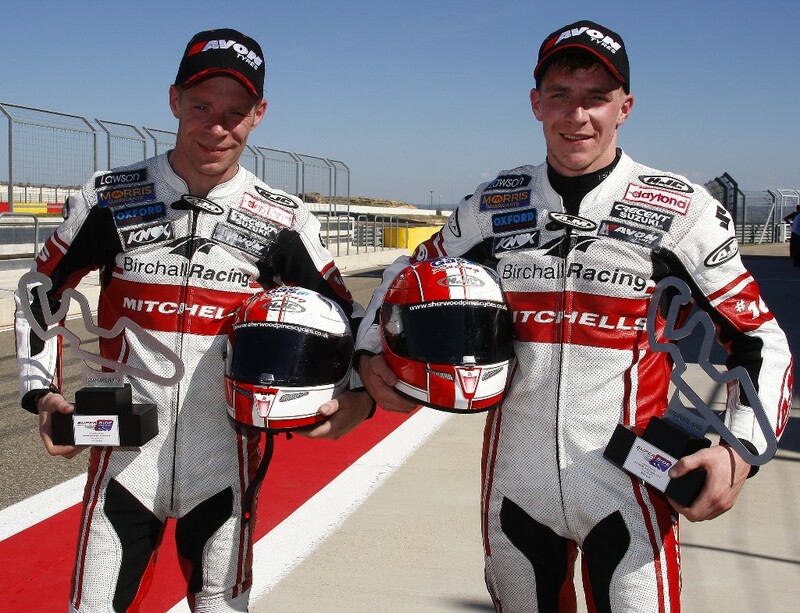 Following their World championship race at Donington Park Ben and Tom Birchall headed directly over to the Isle of Man to prepare for their TT campaign. The first practice session was on Monday evening and with the sun low in the sky (see photo) it made conditions difficult. But the Mansfield brothers set off to complete two laps of the 37.73-mile mountain roads course posting the second fastest time of the session in a time of 20m 29.143s – an average speed of 110.508mph. It was a battle of the Brits on Sunday when the two best teams in the world went head to head for supremacy in the second round of the FIM World Sidecar Championship held on home tarmac at Donington Park, Ben and Tom Birchall missed out on the win by the narrowest margins at the end of a gruelling 19 laps although they retain their series lead and added yet another lap record to their profile. It’s been a busy start to the year for Phil Morris Racing and the rest of 2014 looks set to continue in the same vein. The fabulous collection of racing bikes is always in demand at events around the UK and beyond with the ex-Valentino Rossi Aprilia from 1997, not surprisingly, being amongst the most popular with show organisers and visitors alike. 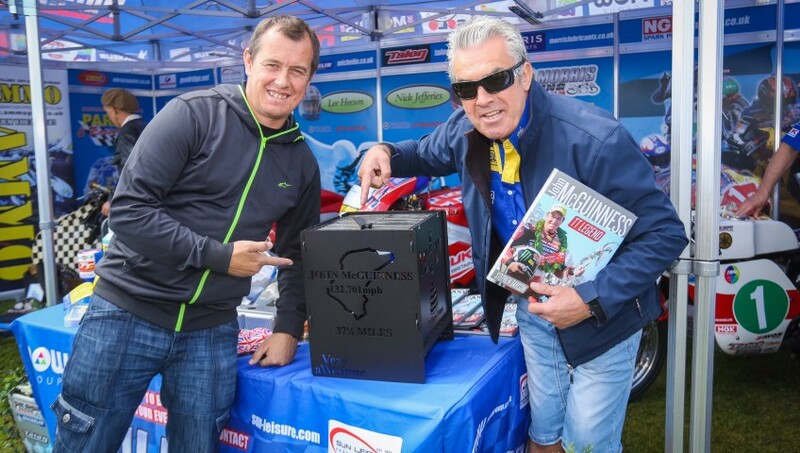 One of its first appearances of the year was at the Springfields Bike Show where Jamie Whitham and Ben Wilson were among those to drop in for a chat with Phil. MCN Live at the Excel, meanwhile featured a Mike Hailwood tribute which included 21 exhibits from the team’s museum in Oswestry, all of which were well received. 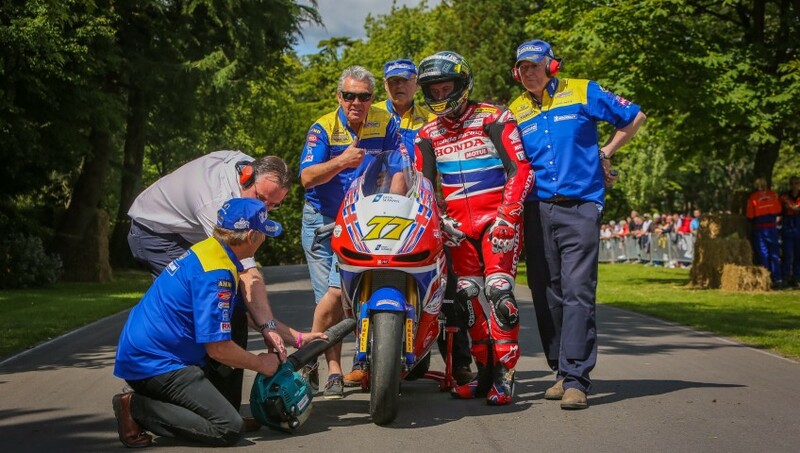 Following the success of their 2013 event (An evening with the Honda Legends team) where almost £14,000 was raised, FoTTRA (the fund raising arm of the TT riders association) have decided to stage an even bigger event for 2014. 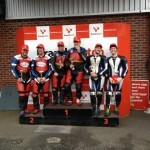 With wanting some more time on the zx10r we decided to race with Wirral 100 at Oulton Park. With the track being local(ish) we decided to leave home the morning of the race day. The alarm was set for 4.30am for the 2hr15min trip to the track. Once we get there it’s time to get the bike through technical inspection and noise testing, which it’s passed with no problems. Then it’s back to the awning to put the tyre warmers on and get ready for practice heat 1. 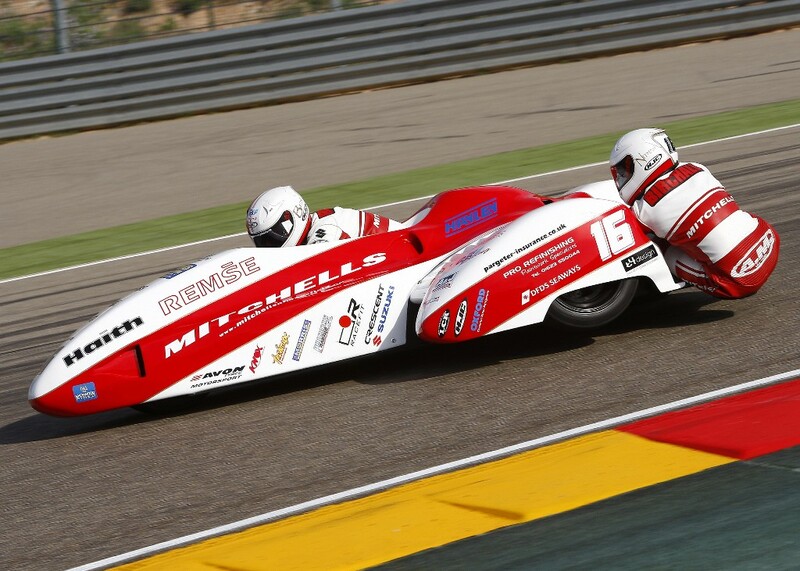 Following on from their superb record of seven poles, seven wins and seven fastest laps in last year’s world championship Ben and Tom continued their winning streak where they left off by posting the fastest lap time, setting a new lap record, pole position and a resounding victory in the opening round of the 2014 FIM World Sidecar Championship at Aragon in Spain on Sunday. 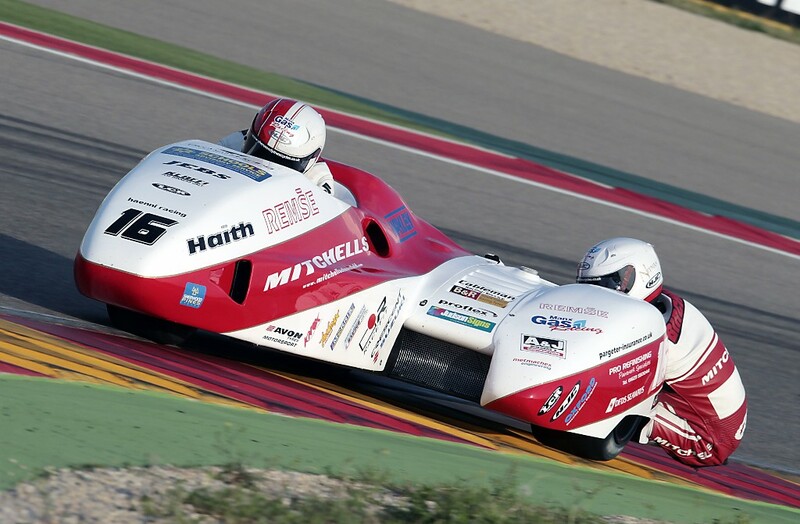 Last year the Birchalls were using a borrowed outfit for the Spanish race courtesy of John Lawson as they were having teething problems with their own machine and subsequently they took their time to dial in on the new outfit at the weekend. The Mitchells of Mansfield pair were second fastest in first qualifying on their LCR Suzuki but went on to claim pole in the final session on Saturday setting their fastest lap in the dying seconds. As the 15-lap World Championship race got underway on Sunday there was a battle for position between the three leading outfits and they swapped places several times in the first few laps. But the Birchalls finally got the better of Reeves/Cluze to move into second place and having a clear track in front of them set about reeling in the race leaders Steinhausen/Kolsch who they overtook on lap five to take the race lead. d to extend their lead over the remaining laps and crossed the finish line for the win with an 8.398s advantage over second place riders Steinhausen/Kolsch. Reeves/Cluze came home in third place some 23 seconds later. Ben said: “We are thrilled to bits to secure our first win of the new campaign and the bike was perfect from start to finish. We found the first few laps quite difficult as we were all three challenging for the lead but once we got in front we were very comfortable with the pace we were able to maintain. “All the work we have put in over the winter months with John Baker has paid off immediately and to come away from Spain with a race win, lap record and the championship lead is fantastic for us. We are pleased to welcome a number of new sponsors on board this year and what better way to repay them for their support than to win on our first outing. 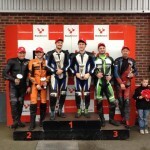 The next round is on home tarmac at Donington Park in Leicestershire over the weekend of May 23-25 when Ben and Tom will be anxious to add to their points tally to extend their championship lead. 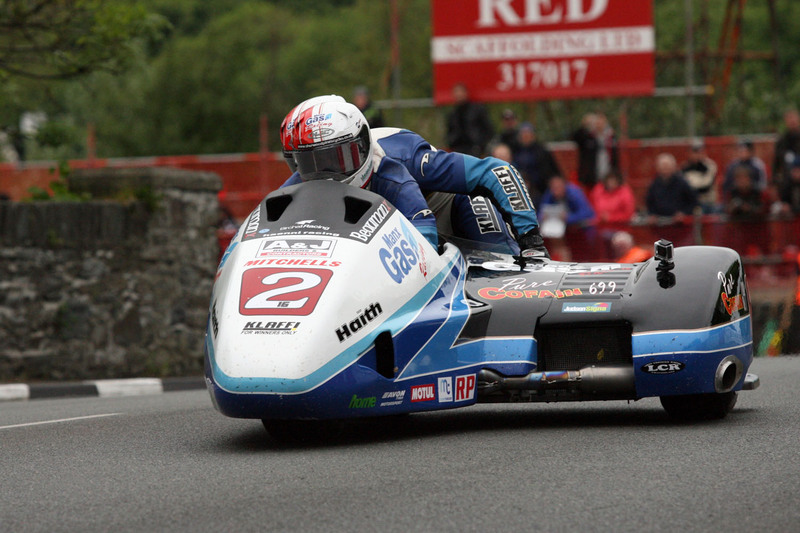 Gethan Jones (BBC TV) will be the host for the evening which will also feature some of the top solo racers taking part in this years TT races. After spending Friday afternoon testing around the short but fast Brands Hatch indy circuit, the team felt prepared for the weekend of racing ahead. 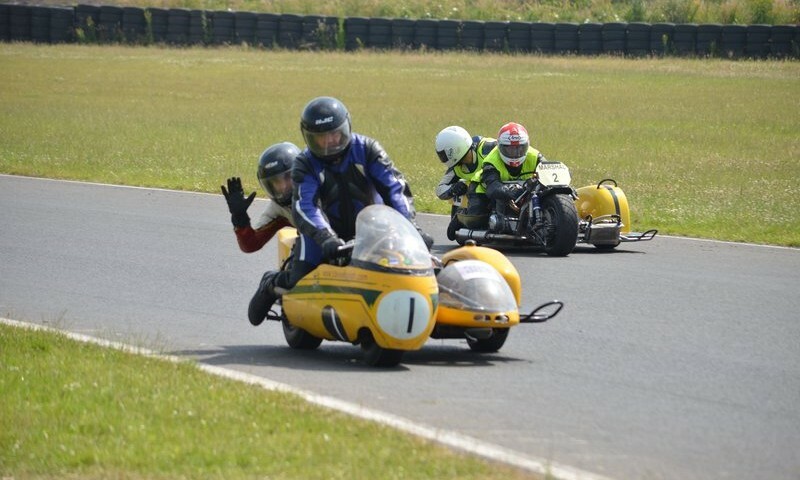 On our newly acquired F2 LCR sidecar fitted with a Suzuki GSXR 600 K7 engine, we where still getting to grips with the difference in handling to our old TFR sidecar. All was positive from the test day, our speeds improving every session and we now looked forward to seeing how we compared with the British Championship contenders. We put new tyres all round on in the morning and so went out in morning practice to scrub them in ready for qualifying. For qualifying, we got to use our lap timer which transmits the lap time onto my dash counter for my reference. This is part of the many technological advances which we are learning with the new sidecar but which will save excess usage of the bike during the qualifying session. We achieved a lap time of 53.47 which put us in 9th position on the grid and 2nd quickest F2 Cup position. 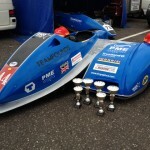 We were happy to be in the top 10 of the 22 sidecars and considering our stock, breakers yard engine. The weather was really good for the first race of the season and we all lined up on the grid in anticipation. With mine and Toms pre race rituals out the way we looked to the lights ready for the red to go out. As we shot around the blind and steep paddock hill bend it was packed with sidecars everywhere. We held our position for a few laps before picking off Fenwick/Knapton and having Baker/Baker-Milligan in our sights. With a retirement in front of us we were up to 7th position and all over the back of Baker/Baker-Milligan. Unfortunately our standard engine was starting to show a bit now, we were quicker around the corners but didn’t have the power out to pass on the straights and so couldn’t get close enough to make a move on the brakes! This frustration continued for the entire race and gave those behind a chance to catch up to us. Now with Lowther/Lowther nipping at our heels we had to make a move on Baker/Baker-Milligan. 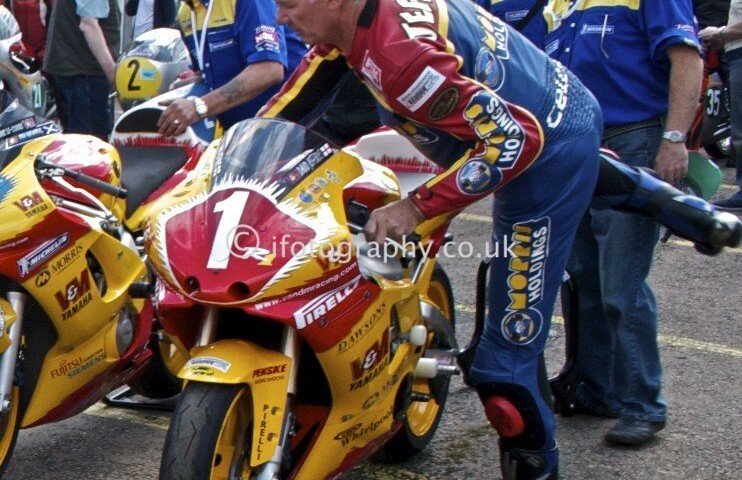 We put it up the inside of them into clearways, albeit a bit forcefully and we kissed fairings all the way around and over the line for the penultimate time. The Baker/Baker-Milligan pairing just had to much speed and out dragged us into paddock hill bend for the last time. This is how it stayed and we crossed the line in 7th position and a great 2nd in the F2 cup. It was another dry race and we all lined up again on the grid in our qualifying positions from saturday. The start was going to be crucial to our position due to the difficulty we had to overtake as we found out in race 1. The lights came on red and then extinguished and we all hurtled towards paddock hill bend in a mass of sidecars. It seemed that everyone bunched up on the inside line and cued to get around! We saw an opportunity and opening and drove round the outside of 6 sidecars in one bend before taking the inside line into druids and out-braking one more and going into 2nd position! We couldn’t believe the start we had, we were now battling for the lead and completed lap one in second position behind Bryan/Winn. It stayed like this until lap 5 when Bell/Bell came past us and then and lap 6 Lelias/Knapton came past, both sidecars also overtaking Bryan/Winn and taking the lead. This was more the reality, I kind of expected to drop a few places with the lack of power but it was still a close race and the 3 sidecars in front where not getting away! We stuck in 4th position, chasing Bryan/Winn closely till lap 11 where a back marker pushed them off the racing line and I took full advantage and out braked them into Druids putting us into 3rd position. The pressure was on now to keep a cool head and stay smooth and quick to keep corner speed up as we lacked the straight line power. Sure enough, we held the 3rd position over the line and unbelievably took our first ever podium position in the British Championships and winning the F2 cup as well. WOW, what a weekend and what a bike me and Tom now have! 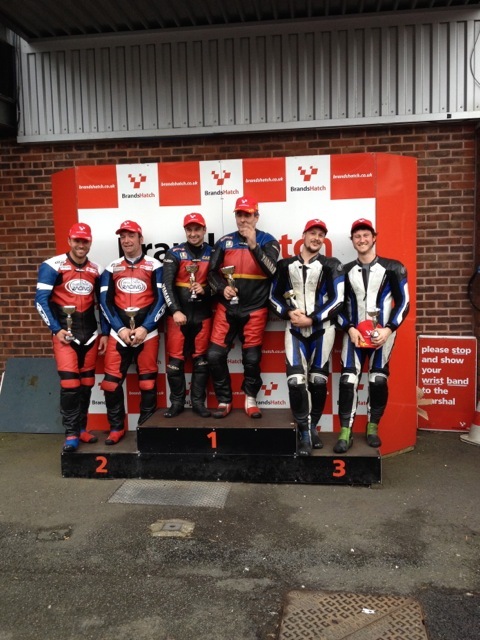 A great start to the season putting us joint 1st in the F2 cup and 3rd in the British Championship standings. A massive thanks to all our sponsors and 50 club members for helping us achieve this amazing start. Heres to the season ahead and more of this success.